Numerous studies have emphasised the importance of apex predators in determining community dynamics and broader functioning in marine ecosystems. However, less understood is the ecology of plastic foraging behaviours employed by predators, with drivers of foraging plasticity being a particular knowledge gap in marine sediments. In June/July 2015, we assessed the role of traits and abundance of prey assemblages in influencing decisions made by greater flamingos Phoenicopterus roseus to employ different foraging behaviours in intertidal sandflat ecosystems in Langebaan Lagoon, on the west coast of South Africa (33°11′27″S, 18°07′37″E and 33°03′54″S, 17°58′07″E). Greater flamingos feed by either (1) creating pits, which involves flamingos stirring up deep sediments with their feet or (2) creating channels, in which their inverted bills are swept from side to side on the sediment surface. RandomForest modelling techniques indicated that both pit- and channel-foraging strategies were linked to low macrofaunal biomass in sediment patches, indicating that smaller prey items may be preferred targets for consumption. Channel foraging was linked mainly to the abundance of surface-associated fauna, suggesting that this feeding technique was predominantly a surficial foraging strategy. 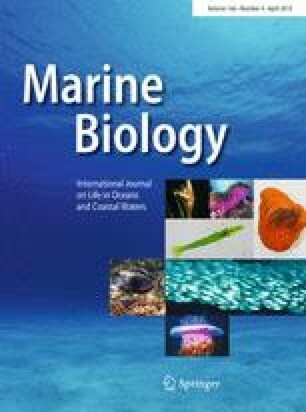 The probability of pit foraging increased with increasing concentrations of benthic microalgae, suggesting that high microalgal biomass may be linked to pit foraging. Overall, this study adds to knowledge on the role of flamingos as predators in marine sediments, by highlighting biotic predictors of foraging plasticity. The study demonstrates the relevance of understanding potential drivers of foraging plasticity in developing a predictive understanding of predator impacts in heterogeneous ecosystems. Responsible Editor: V. H. Paiva. The online version of this article ( https://doi.org/10.1007/s00227-019-3497-1) contains supplementary material, which is available to authorized users. Funding for the research was provided by the National Research Foundation (NRF). We thank the students of the Biological Sciences Department, University of Cape Town, for field and laboratory assistance. All applicable international, national and/or institutional (University of Cape Town) guidelines for the care and use of animals were followed. Due to the observational nature of the study, animal ethics approval was not required.